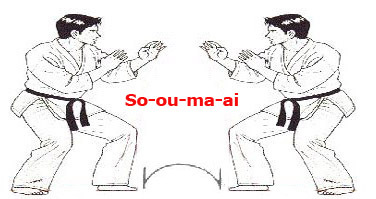 In the Martial Arts, Ma-ai is a combination of the distance between you and your opponent and the speed of movement that each possesses. 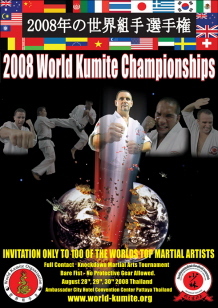 Other influencing factors are the size of the participants and each opponent's fighting style.. 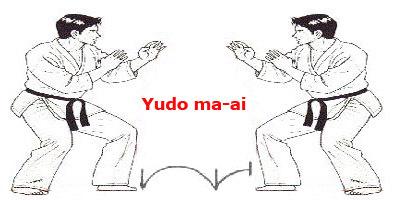 The optimum distance for the Mai-ai is obviously different for each budoka; however, there must be space enough for unrestricted defence or offence. With Distance, we generally mean the Distance between you and your opponent; however, it is also used in a more limited sense to indicate the distance at which it is easiest to counter your opponent's moves and launch attacks. To get a clearer idea of the term, imagine a fight using weapons such as a spear, sword or knife. Just as you would have to alter your methods of attack to suit each weapon, so you must also vary the distance between yourself and your opponent. At close range, a take down is preferred. And whilst there are a variety of trips and sweeps employed for getting the man down, once he is down he is finished off with punches and stomps. At a medium range, the adept makes use of shorter kicks and longer punches. 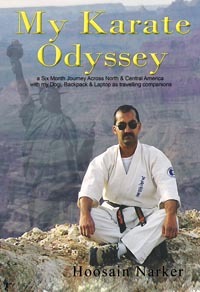 At long range, the emphasis shifts to roundhouse kicks and evasive and gap closing counters. By stepping only slightly in from middle range (depending on the degree of expertise, this could be anything from 5 - 10 cm), you get into a position where you can disrupt the timing of your opponent's attack. 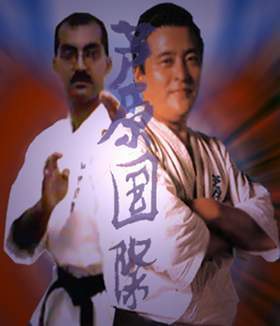 By intercepting his/her leg before it is fully extended, you halve the power of the kick. This is the closest you can get to your opponent and still maintain control. Taking a roundhouse kick as an example, middle range would mean the distance at which the impact of the kick would cause the maximum power. In other words, you are at a position where (or your opponent's) attacks would cause the most damage. This is a median distance Mai-ai. By taking a extra half step backwards, you induce your opponent to step closer and possibly fall into a planned trap. By moving slightly out from middle range, your opponent's blows will fail to land at all. Don't step too much, but judge your opponent reach, and stay in close enough for you to be able to move swiftly in to attack. This is the maximum controllable distance between two participants. By taking an extra step backwards from the So-ou-mai-ai, the budoka gives him/herself a moment in which to paln the next move. In order to keep the proper distance, you have to be able to read your opponent's moves. 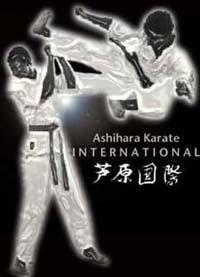 For example, the impact point differs for a roundhouse kick, a punch, or an elbow strike. Going back to the weapons analogy: you need different distances for a spear, sword, or knife. In judging distance, you must watch your opponent and move your feet accordingly, always shifting your body away from the danger zone. It is of utmost importance that you constantly think about the Mai-ai. Indiscriminate or un-thinking attacks will only lead to wasted movement and possibly loss of the fight.